Don't call it a smartwatch—the Nabu Watch is just a regular watch with a fitness band hiding inside. Gaming hardware maker Razer is back at CES with a new wearable for its Nabu line, but don’t call it a smartwatch. Razer’s recently revealed Nabu Watch is an intriguing take on a modern watch that has more in common with fitness bands and that “dumb” digital watch sitting on your wrist than an Apple Watch or Android Wear device. The Nabu Watch is primarily a digital watch with limited smartwatch features throw in, such as fitness tracking and basic app notifications. 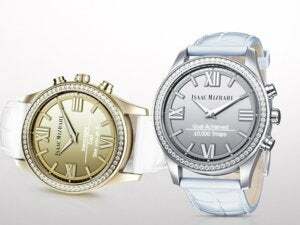 Looking at the device you can tell right away that it borrows a lot of design hints from popular, chunky fitness watches such as the Casio G-Shock and Timex Ironman lines. 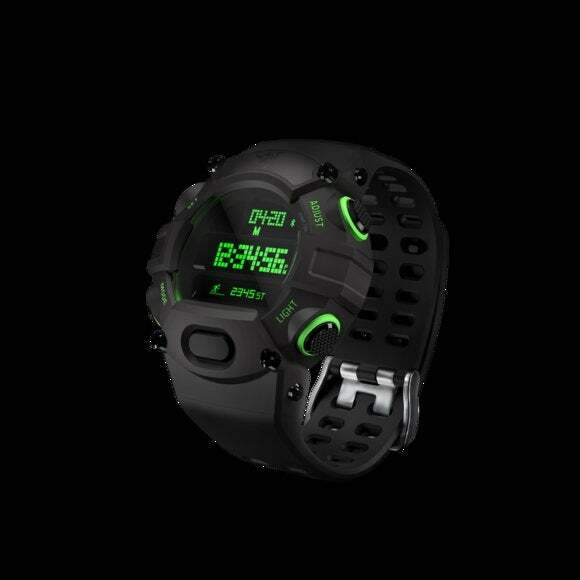 The Nabu Watch also has the standard features you’d expect from a fitness watch such as an hourly time signal, 1/100 second stopwatch, countdown timer, and alarm. The watch is also shock resistant up to 16 feet and has a 5 ATM water resistance rating—check out How To Geek’s excellent write-up to understand what that actually means. Razer’s Nabu Watch has a charging port on the back for the secondary screen. 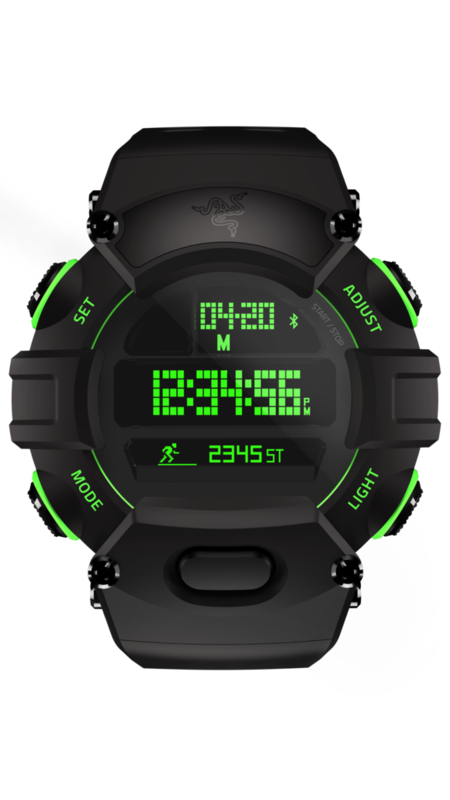 Underneath the plain old digital watch screen, Razer includes a smaller OLED 128-by-16 display for app notifications, call alerts, and on-watch functions such as daily steps taken. Razer calls its latest addition to the Nabu line a “watch that’s smart” as opposed to a smartwatch. You might even go so far as to call the Nabu Watch two devices in one, because that’s how you’ll be managing it. The Nabu Watch runs on two batteries: one for the watch and one for the notifications screen and smartwatch features. 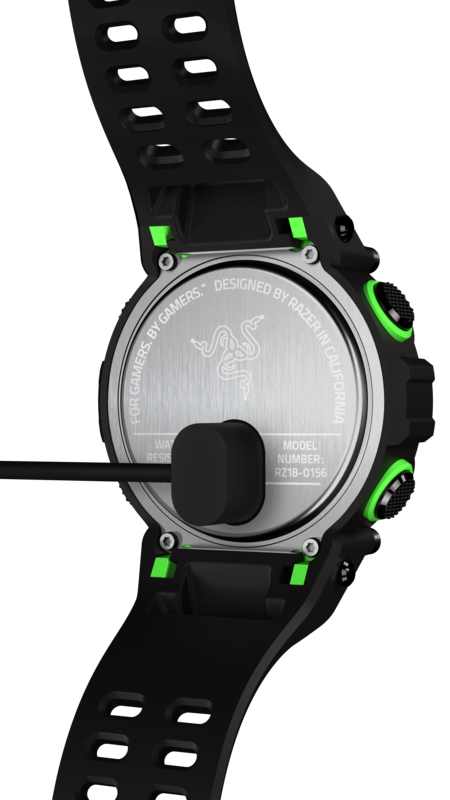 The digital watch runs on a CR2032 coin cell disposable battery that Razer says you’ll have to swap out about every 12 months. The secondary screen and smart features rely on a dedicated lithium polymer rechargeable battery. Razer gives that battery up to seven days on one charge. Recharging happens via a cable that plugs into the back of the wearable. Similar to other Razer wearables, the Nabu Watch can also trade information such as Facebook and Twitter contact information when two Nabu users shake hands. Nabu Watch’s data sharing features work with all Nabu devices including the Nabu and Nabu X.
Razer’s Nabu Watch is available in two versions. The standard version is made from polycarbonate material and sells for $150. A Forged Edition is also available for $200 feature machined stainless steel buttons and a “premium black finish.” Razer’s Forged Edition is available now while the standard version rolls out in late January.